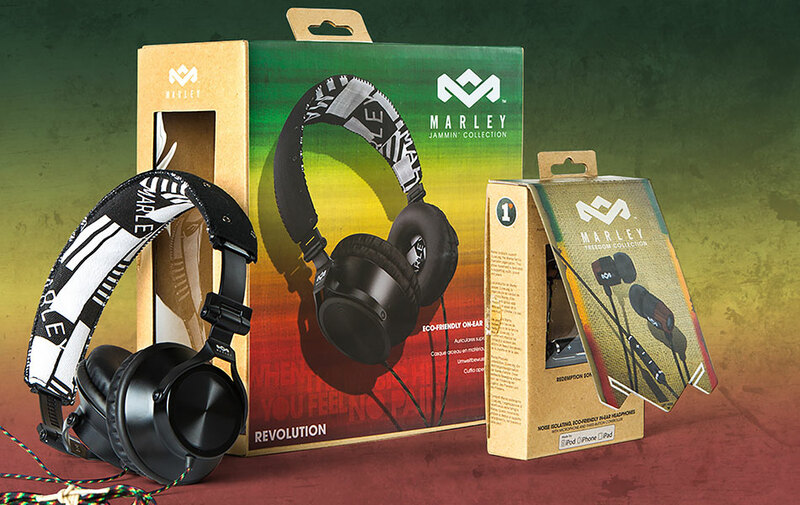 Marley is a brand and an icon steeped in history. When it came to developing packaging for their signature line of audio products it was essential that the packaging reflected the brand ethos using raw and natural materials. However, with that comes the challenge and complications of manufacturing eco friendly substrates at a high quality production level. Raw material packaging goods can be costly and require quality control procedures that understand all plausibility of challenges. The right overseas team, supply chain, paired with the right manufacturing support was key to successfully execute the final manufacturing. This also ensured that the brands eco integrity was upheld while delivering packaging that was at the standard required for large retailers around the globe.